While preparing to file for your divorce, your spouse informs you that he/she does not want to complete a financial statement. Is an uncontested divorce without spouse’s financial statements possible in the state of Massachusetts? A portion of the uncontested divorce process necessitates that both parties file a Financial Statement with the Court. Therefore, the answer is no. You cannot file for an uncontested Divorce without spouse’s financial statements in the state of Massachusetts. When a couple is interested in filing for an uncontested Divorce, both parties have to agree on everything. 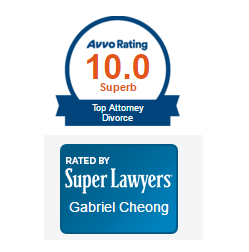 Additionally, both parties are required to cooperate throughout the entire divorce process. If one or both parties do not cooperate or agree at any point during the divorce process, the proceedings will come to a halt. This holds true whether a couple is seeking their Divorce through the Boston courts or any of the other Probate and Family Courts within the state of Massachusetts. If one party does not want to complete the form due to fear of disclosure, taking advantage of the uncontested Divorce process is not possible. The couple’s only alternative is to discontinue the uncontested Divorce process and begin proceedings for a contested Divorce. This form must be completed by each spouse who earns less than $75,000 a year. This form must be completed by each spouse who earns more than $75,000 a year. This form is completed in addition to a Financial Statement by each spouse who is self-employed or owns a business. This form is completed in addition to a Financial Statement by each spouse receiving rent from an income producing property. If you are interested in speaking with an attorney about filing for an uncontested divorce, contact our office today.